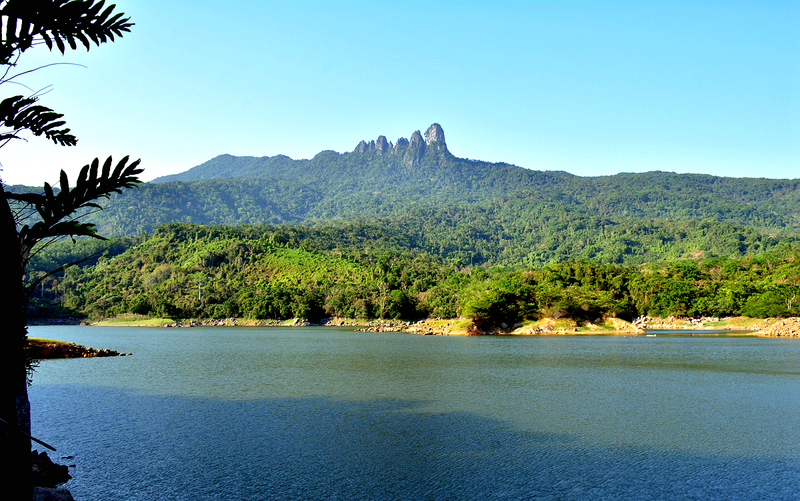 Seven Fairy-Lady Mountain or Qixianling in Chinese is located in Baoting Li & Miao Minority Autonomous County in the middle of Hainan Island, about 1.5 hours driving from Sanya. The Seven Fairy-Lady Mountain or Qixianling covers an area of around 22 square kilometers with the highest peak rising 1126 meters above sea level. Seven Fairy-Lady Mountain National Forest Park or Qixianling National Park was approved by the Chinese Government in 1998 as National Level Forest Park. 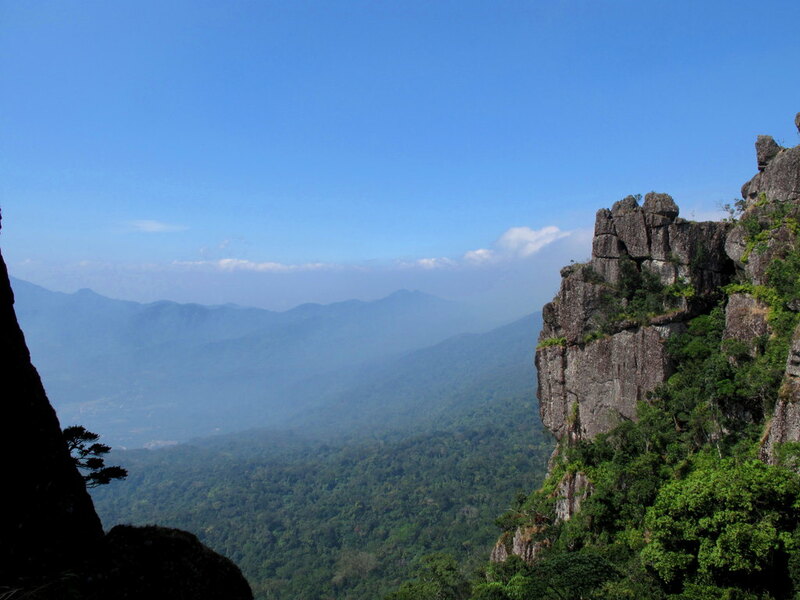 The Seven Fairy-Lady Mountain National Forest Park or Qixianling National Park is well-known for the best hot spring, strange shaped ridges, and tropical rainforest. The highest temperature of the hot spring could reach up to 95℃ , the highest of its kind on Hainan Island which could boil eggs in about 10 minutes. The hot spring eggs are very tasty which you should not miss. Long time ago, the local Li Ethnic group living in Boating County enjoyed a peaceful life and benefited greatly from the hot springs which kept them in good health. One day, the mother of the Heaven got known about the beautiful place and the hot spring. Then she sent her 7 fairy daughters to check if the hot spring was as nice as the one in the Heaven.. The 7 fairy ladies were surprised by the green mountains, clear waters and wonderful hot springs and they enjoyed their stay very much. But one day, one God of Wind on the sea wanted to occupy this fairy land, but when he came, it rained cats and dogs which brought much damage to the local people. So the seven fairy ladies helped the local people by fighting with the God of the Wind on the sea. After several fights, the ladies beat the God of the Wind on the sea. 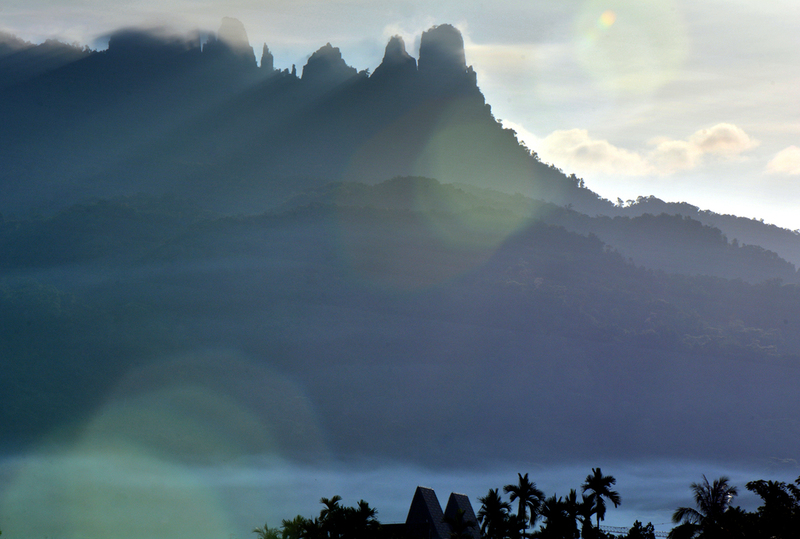 To protect local people from further disaster, the seven fairy ladies became the seven ridges which is how the seven fairy lady mountain got her name. To reach Seven Fairy-Lady Mountain or Qixianling from Sanya by public transportation, please take bus from Sanya Bus Station to Baoting Bus Station, then by local bus to Qixianling, about 30 minutes ride by local bus. 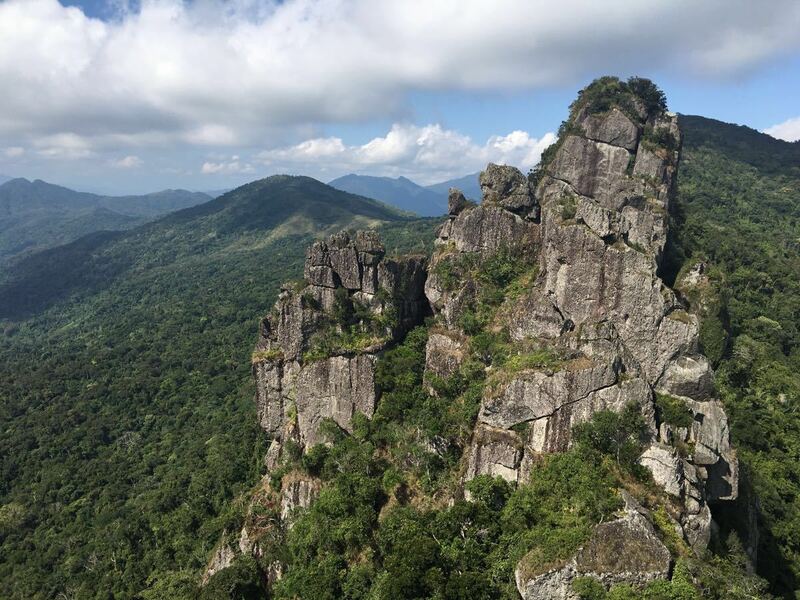 Our tour is to climb the Seven Fairy-Lady Mountain or Qixianling, with 2300 meters long stone path, 3770 steps, At the end of the stone path, there is a 80 meter long steep rock. To climb the rock, you really have to climb on your hands and legs with the help of iron chain, which is the most challenging part of the hiking tour. 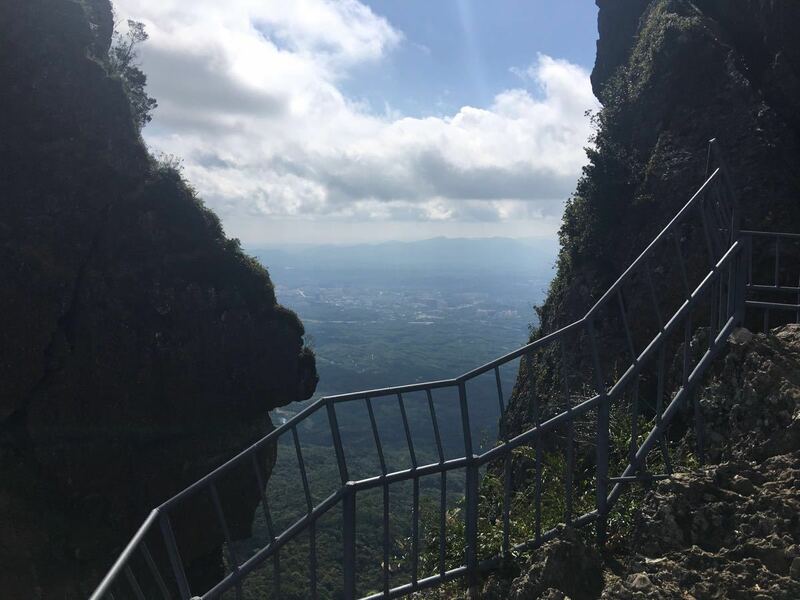 At the top of the mountain, you will have a great view of the local villages, cloudy mountain nearby, every as far as the Five Finger Mountain in the northwest. After the tiring hiking tour, I guess you stiffing legs need a good hot spring bath in the wild tropical rainforest. The tour starts at 9am from your hotel in Sanya. 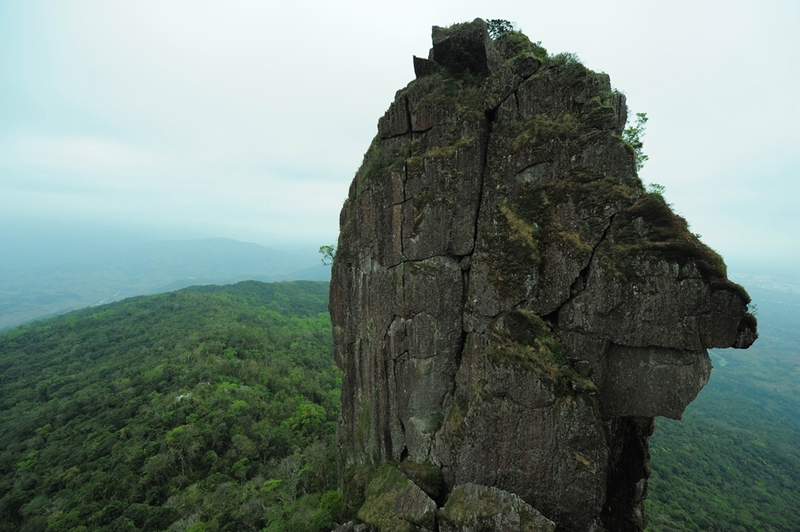 It takes 1.5 hours to reach the Qixianling Mmountain. main gate. 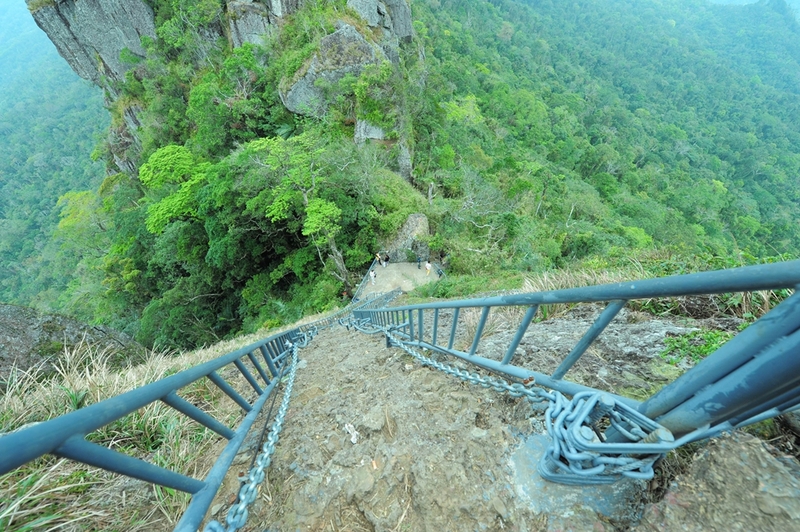 Normally it will take 2.5 hours climbing up and 1.5 hour coming down along the same path. Then we go for hot spring and lunch . Please prepare clothes to change after hiking. For sure, you will sweat a lot. Hiking shoes, sports shoes and shorts will be ok. 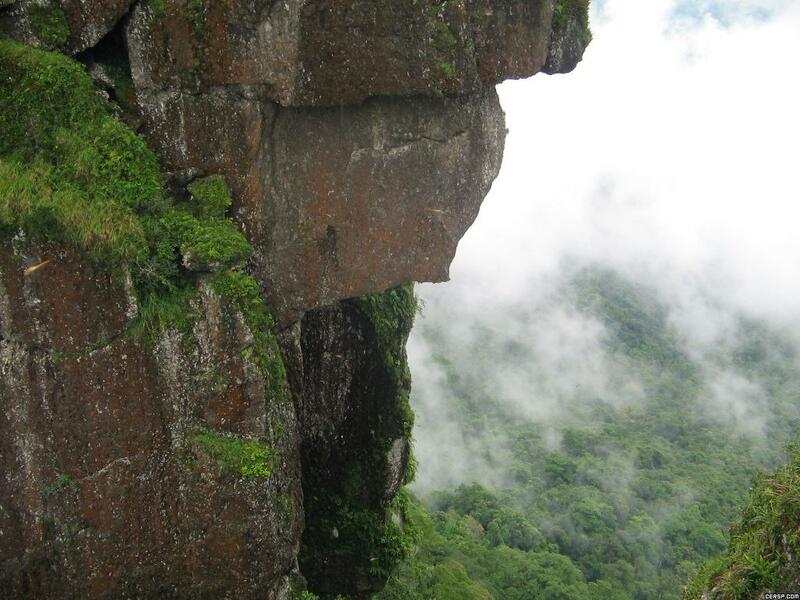 It is not a difficult hiking, but you will feel very tired because of the humidity. 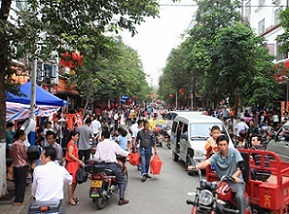 After lunch & hot spring, if we still have time, we will visit a big local market, where you will experience the true local life of Hainan. Our private Day Hiking Tour to Qixianling National Forest Park with Hot Spring, round trip transfers costs CNY498/person, min. 4 pax/trip. For 2 persons, the tour costs CNY1490, and CNY1790 for 3 persons. An English-speaking staff costs CNY400/day, and a professional English-speaking tour guide costs CNY800/day. Child under 1.2 meters height will get half price when travelling with min. 2 adults. Answer: There is a very local restaurant right at the foot of the Qixianling Moutain, so we suggest that you take lunch here after the hiking, then go for hot spring with our driver. Question: What you need to prepare for? Answer: Please bring your own swimming suites and towel for hot spring.